20 year old forward Sebastian Downing has become the latest player to join the Invicta Dynamos after the former Chelmsford and London skater put pen to paper in Gillingham following a year across the pond. Sebastian Downing played his junior years at Lee Valley and Romford before breaking into senior hockey having moved to Chelmsford. Between 2013 and 2015 the forward wore the ‘A’ of alternate captain for the under 18s in Essex whilst also featuring for the NIHL South Division 2’s Warriors. Come 2015/16 the London Raiders then decided that Downing was ready for the NIHL South’s top tier and the young skater delivered on his potential with 11 goals and 7 assists for 18 points from 36 outings. After a debut year in in the NIHL South Division 1, Sebastian Downing looked to test himself and further his development across the pond as he signed up for a term in the Canadian Premier Junior Hockey League (CPJHL) for 2016/17. Icing in Angus, Ontario for the Essa Stallions under the guidance of former NHL, AHL and Elite League centreman Sylvain Cloutier, the right winger dressed for 44 competitive outings and managed 15 goals and 25 assists for 40 points in the process. Now, fresh from his season long adventure the other side of the Atlantic, Downing returns to the UK and has penned a deal that will see him compete for the Dynamos in British ice hockey’s second tier. 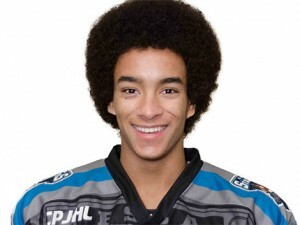 Speaking on the signing of Sebastian Downing, Head Coach Kevin Parrish said, “Seb is a player that has plenty of potential and after a year tuning his game across the pond in Canada he is keen to make his mark back in the NIHL. Before taking his trade abroad, Seb had won Players’ Player of the Year and Coach’s Player of the Year awards at his previous teams, represented his country at junior level and been a regular at regional level throughout the various age groups winning three junior titles in the process. He has continued to develop and now will be looking to bring his pace and energy to the Dynamos, as well as his knack for getting amongst the points, when we get back underway in September”. Sebastian Downing will wear number 60 for the Mos and is the second new face to be confirmed by Head Coach Kevin Parrish following the early summer capture of forward Bobby Chamberlain. Details of further players to join the ranks will be announced in the near future. Warm-up Jersey – For just £125 get your name or logo printed on the back of Sebastian Downing’s warm-up jersey. Sponsors are also named on our website and in our match day programme and then presented with the jersey to keep at the end of the season. Game jerseys – For just £150 get your name or logo printed on the back of Sebastian Downing’ home or away game jersey. Want both? 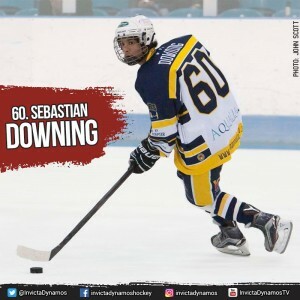 For just £250 for individuals / £300 for businesses get your name or logo on the back of each of Sebastian Downing’ game jerseys. Sponsors are also named on our website and in our match day programme, are announced over the loudspeaker during player introductions at every home game, receive a programme advert (business sponsors only) and are presented with their jersey (one shirt) at the end of the season.